Whilst Felipe Nasr was out on track for in the Sauber during the second test at the Circuit de Catalunya, Marcus Ericsson sat down for a chat with Sarah Merritt, to talk about his career so far, the importance of interacting with his fans on social media, and his helmet design. Marcus, I can see you have had a passion for Motorsport from a very young age – racing karts at 9, winning Formula BMW with Fortec in 2007, then Formula 3, and Japanese Formula 3, which you won in 2009. Whilst reading this, I was surprised to see something I didn’t know – that you tested for Brawn GP in Jerez in 2009, their World Championship winning year. I’ve read that you received some great commendations from Ross Brawn about your drive. How did that test feel, on what I assume was your first time in an F1 car? “I’d just turned 19 when it happened, and I’d had a very strong year in Formula 3. I had won Japanese F3, and I’d been on pole in Macau, finishing 4th, and I won some races in British F3. And Jerez is a great circuit for testing, it’s got great flow. After GP2, in which you raced in with various teams including DAMS, you moved to Caterham to make the step up to F1 and race alongside Kamui Kobayashi. Can you remember the anticipation ahead of your first race in 2014? You’d probably best not tell them that as it might make them feel a bit old! I read that whilst Caterham were having their financial troubles, you still flew out to the US GP in Austin, and instead of driving, commentated for Swedish TV. Did you enjoy that? Perhaps a future career? After that came the move to Sauber in 2015, and in your first race with them in Melbourne, you finished 8th, scoring the first points by a Swedish driver in F1 since Stefan Johannson. Did that make you feel very proud, and did that get a good reaction back home? “Yes, I was of course very proud of it, and as you say, it had been such a long time since, first of all Stefan drove F1 for the last time, and secondly, since he scored points. Touching on home fans, your Swedish fans don’t have a “home race” to see you at. 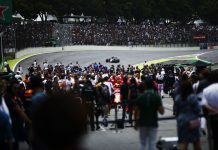 Do you see many that travel to see you, and what race do you consider as your home as we don’t take F1 to Sweden? “It’s sad that we don’t have a Scandinavian grand prix, as there are 4 of us now; the two Finns [Raikkonen and Bottas], Kevin [a Dane] and myself. 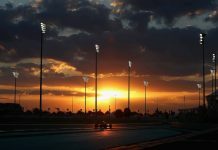 Social media is so important to connecting with the F1 Fan base, without whom there would be no Formula 1 – what more do you think you as a driver can do to engage with your fans? Well you do have a job to do! “…exactly, but I try – like when I travel to different places, and when I go down to the team for meetings – to keep my fans updated on what I am doing. Also, on race weekends and if I have the time, I try and do a short update every day on how the day was; if we had some issues, if it felt good, if it can be improved, etc. I try and do some short things. It’s very important because the fans back home, or wherever they are in the world, feel closer to you as a driver when they read your own words to them. What is your favourite circuit to race at and why? “I would say Suzuka in Japan. It’s one of the classic tracks on the calendar, and it’s one of the biggest challenges for a driver. It has all the different sorts of corners; the high speed flowing corners, the hairpins, the chicanes. It’s quite an old school track in a way, where you don’t have much run off, so if you make a mistake you lose time, and it’s not like you can overshoot in places. It’s a tricky track, and it takes time to get up to speed on it. On a day when you can eat anything you like (and I promise we won’t tell your trainer about this) what is your favourite food indulgence to have as a treat? But you don’t get to do that very often, do you? Thank you for bringing your helmet along for me to look at. It displays a patriotic colour scheme that goes well with the car. Is this a similar design that you’ve always raced with throughout your career, and why did you decide on that design? “The first time I had this sort of base design was back in 2009, before that I had some different ones. I went to the blue and yellow, and this sort of base. It’s changed through the years in detail, but the base design has been similar. And yes, the blue and yellow comes from the Swedish colours, and then I try to keep it simple, not too much mixing colours or lines. And this is your preferred visor tint? What are your thoughts on the new qualification format? “It was better the way it was. The qualifying has been great entertainment for some years. It’s been good TV, good for the fans at the track, and also for us drivers and teams. It’s intense, but you get the time to do your ‘tries’, and always by the end of Q1, 2 and 3, people are starting their laps. You see split times and it’s ‘he’s doing this time, he’s doing that’. So I think it was great as it was. Lastly, can you share with me your thoughts on this year’s car, how you feel about the season ahead, and realistically where you think you will and the team will position yourself for the first race? “The car is definitely a step forward from last year. It feels more stable and high speed feels improved, so the down force is better. That’s positive, but we will have to wait bit longer to see what it’s like when we start optimising everything, but the initial feeling is good. Thanks to Marcus and Sauber F1 team for their time in Barcelona.